With so much going on at any given time during harvest season it's hard to fathom just how our winemaking team gets it all done. It's safe to say that we wouldn't be as efficient as we are without a seasoned member of our crew our own cellar rat turned cellar master, Tyler Wolz. While Cellar Master sounds like a fancy job, it is labor intensive and all consuming during harvest season. 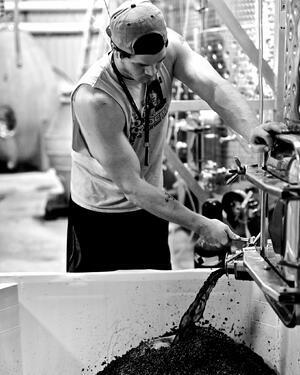 Tyler has to wear many hats - he's a master of all trades when it comes to winery operations. Tyler Wolz came to William Chris in 2013 from Illinois. He was a college football player before making the move to Texas. 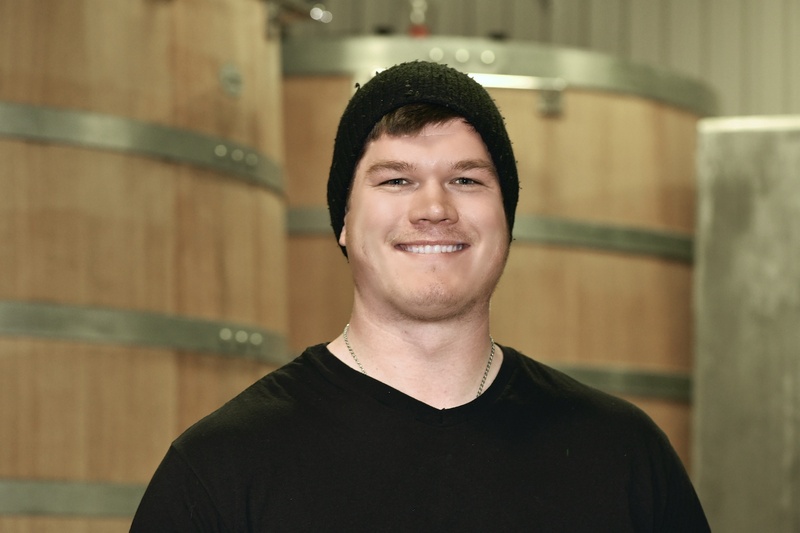 To get to his current position managing the cellar and its operations, Tyler took on many jobs in both the vineyard and the winery. The 2018 vintage marks Tyler's 6th harvest with us! What does a day in the life of a cellar master look like? During harvest the days are hard and long. I'll show up early in the morning and not get home until early the next morning - we work all hours with very little sleep. I have to be here to help our winemakers receive all of our fruit, clean all the tanks and bins, barrel down, punch down, move barrels around according to our aging and fermentation strategy. He also separates grape skins and helps run the presses. Tyler says during harvest, "I average about 15 hours or more each day on the clock. It's pretty intense." Our winery crew will all take turns choosing the music they crush to each day. Tyler's favorites include Tool and The Dirty Heads - depending on the mood and pace they'll set for the day ahead. What is Your Favorite William Chris Wine? 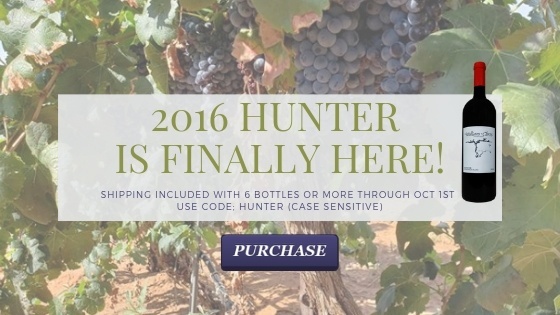 Tyler says, "If I had to pick a favorite, it would probably be the 2012 Malbec from Hye Estate." He is also a big fan of Texas High Plains appelated wines as he often helps harvest fruit and bring it back to our Hye Estate each season. However, truth be told, Tyler prefers a hard earned Jameson Irish Whiskey at the end of a long day. Oenophiles know that winemaking is a craft - an art form all its own. A creative by nature, Tyler plays several different instruments and he handcrafts chainmail jewelry you can find in our tasting room or his Etsy page. Come and share a piece of our world and experience the fruits of Tyler's (and the team's) hard work. With the passion he puts behind his profession, you'll be glad you did.